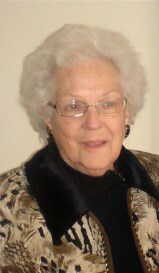 LOUISBURG – Margaret Preddy Gupton, 86, of Louisburg, died peacefully Thursday morning. Margaret was the daughter of the late Bob and Flora W. Preddy. She was preceded in death by her son, Earl Gupton and her brother, Bobby Preddy. The family will receive friends 1 – 2 p.m. Saturday with the funeral service to follow at 2 p.m. in the chapel of Strickland Funeral Home. Burial will follow in Lancaster Memorial Park. Margaret is survived by her loving husband of 69 years, E.C. Gupton, Jr., daughter and son-in-law, Patsy G. and Bob Gardner; sister, Kaye Dorsey all of Castalia; brother, Dalton Preddy of Raleigh; grandchildren, Jenny Gupton, Nikki Helmers (Craig), Chad Gardner (Robin), and Lindsay Gay (Matt); 6 great-grandchildren; many nieces and nephews. In lieu of flowers memorials may be made to Cedar Rock First Baptist Church, 4879 NC Hwy. 56 E., Castalia, NC 27816.